HEALTH trusts are being asked to revisit their admissions policy for older people going into residential care homes across Northern Ireland. As part of fundamental reforms of how health care is delivered here, a number of homes had been earmarked for closure, but following a public outcry a fresh consultation on the matter was announced in August 2013. The Health and Social Care Board today approved new criteria that will be used to decide whether or not a home should allow new patient admissions. Health trusts will be asked to make a final decision on a homes admission policy by autumn 2014 but the long term future of these facilities hinges on whether they can admit new residents. The map above compiled by The Detail shows that out of the 18 homes currently under review, only four are currently taking permanent admissions. These are all based in the Western Trust area. The reforms are being reconsidered as part of Transforming Your Care (TYC) – the Department of Health’s roadmap to shift the focus of health care from hospitals to the community. At it’s monthly meeting today the board also assured residents that it was firmly committed to the Minister’s position that they would be able to remain in their existing home for as long as they wish and as long as their care needs can continue to be met. However, The Detail can reveal that the organisation in charge of implementing the reforms has said that the scale of change needed by the end of the year may be “unachievable”. The latest progress report published by the Health and Social Care Board and seen by The Detail states there is a risk that plans to move resources into community care by the end of the year are “overly ambitious and the scale of change required across a complex system is unachievable”. Documentation seen by The Detail also shows that a bid for additional money for TYC is ranked only eleventh in a priority funding list submitted by the Department of Health to the Department of Finance. The plans for residential care in Northern Ireland have been a key element of TYC reforms since they were first announced in 2011. Residential care homes across Northern Ireland offer services in a number of categories including those with a learning disability. Under current plans only trust-run (statutory) residential care homes that accommodate the frail and elderly face potential closure. Last year these plans were the subject of criticism after it became clear that the proposed closure of 50% of statutory residential care homes in Northern Ireland were being swiftly implemented by a number of individual health trusts. 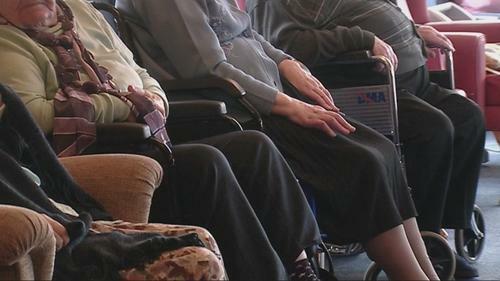 It emerged that a number of trusts planned to shut all of their statutory residential care homes for older people. This forced the Health Minister to intervene and withdraw the trusts’ power to make these decisions. The Health Social Care Board, at its monthly public meeting today announced details about the criteria that will be used by health trusts to decide whether or not their residential care homes should remain open. The four proposed criteria outlined in the consultation document were; Quality of Care, Availability and Accessibility of Alternatives, Care Trends and Best Value for Money. There are currently 18 homes with 240 permanent residents within the review. The board said it received over 1,200 responses to its public consultation with the overriding message from residents being that they did not want to move. “Many of the views expressed by respondents to the consultation were about wider health and social care issues and concerns about how any proposed changes would be managed. Whilst not all respondents were in agreement with the type of change which may result, the majority of respondents did not disagree strongly with the proposed criteria. “I listened to residents describe the care they receive in the homes, and how their lives have been enriched by living in residential care. They told me that the Quality of Care should be the most important criterion and should be given the highest weighting when assessing homes in the future. This was also reflected strongly in the feedback from other respondents. Respondents also agreed that the Best Use of Public Money should retain the lowest weighting. Mrs McAndrew concluded: “I recognise that this process has caused anxiety for residents, their families and carers but I hope that the Minister’s statements and our commitment to them will provide the reassurance needed to ensure that any future changes can be managed in a way that does not cause any further concerns. “There will always be a need for some level of residential care but the changing trends and desires of people must be taken into account too as we plan for the future,” she said. Meanwhile as part of the latest bid for Stormont’s pot of unspent money, the Department of Health is asking for over £20m to help plug the funding shortfall in transitional funding for Transforming Your Care. In a previous story The Detail revealed that TYC plans suffered a massive funding blow because of the need for the Department of Health to pay out millions of pounds in clinical negligence cases last year. The TYC consultation document published in December 2011 outlined a proposed re-investment of £83m from current hospital spend into primary, community and social care services over a five year period. To support this change it was identified that there was a need for an extra £70m in transitional funding over the first three years to allow the new model of services to be implemented. In recent weeks Department of Health officials told Stormont’s Health Committee that the £70m is now required over a five-year period rather than the initial three-year period. To date, only £28m of the required £70m has been allocated to TYC transitional funding, leaving a gap of £42m. The TYC review identified the need for transitional funding over a three year period to enable the implementation of the new model of service. This is when the Department of Finance shares out unspent money between Stormont departments who have pitched for additional finances. Monitoring rounds take place three times during the financial year, in January, June and October. The department secured £19m transitional funding in 2011/12 for TYC and a further £9m during 2012/13. Despite a bid of £7m in January this year, the department failed to receive any TYC transitional funding. Now in the latest June monitoring round the department is bidding for £21 million for TYC transitional funding, as part of an overall bid of £160m to address pressures across the health and social care sector. The Detail asked the department to provide a full breakdown of the June monitoring bid as well as the priority rating they were assigned. As well as TYC funding others bids relate to unscheduled care and emergency admissions, elective care and specialist services, such as drugs, and cancer services. A spokesperson said: “All of the department’s June Monitoring bids are of significant strategic importance it does not mean that any particular bid is less important from the Department’s perspective." The outcome of June Monitoring will be announced in the Assembly once the Executive has agreed a position at the end of the month.